I don’t know about where you are, but where I am, these pants are all the rage. Big, bigger, biggest, and comfy like wearing pajamas to work! 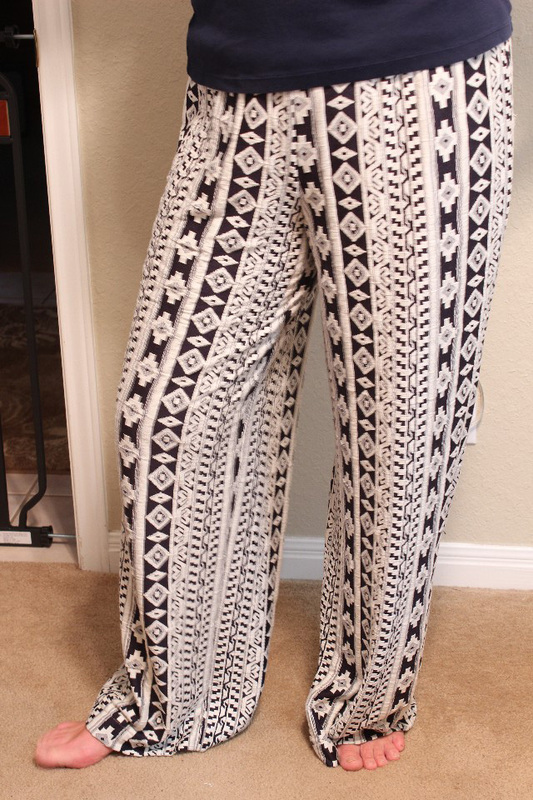 I love me some Palozzo Pants! I actually stopped a couple of girls at work that were wearing them to study the design and pattern (that’s when you KNOW you are really a sewing obsessed dork!) and then I went straight to Hobby Lobby at lunch and I looked for patterns to work with in that design (I had that awesome 40% off coupon!) 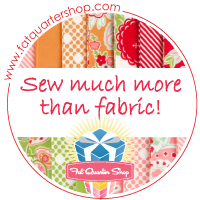 I was wandering in the fabric aisles and OOOhhhh! Look at THIS! This Aztecan striped knit print is beyond Awesome! I see it with my solid knit navy blue top. The bolt was 60”, and I’m 69” so I figured 2 yards would be enough to make the pattern run vertically down my legs. The lady at the cutting table said she liked the fabric but couldn’t think of what to do with it. 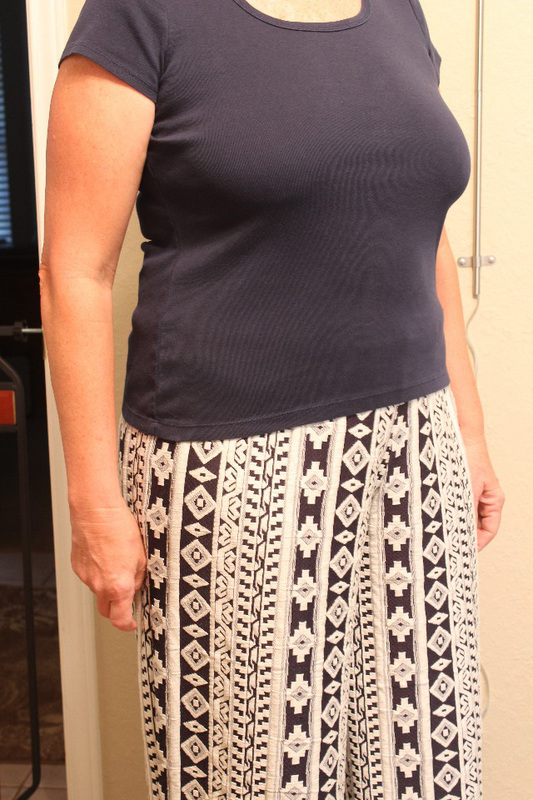 I showed her the pattern and explained the Palazzo Pant. After cutting, instead of putting the bolt to the side to be returned to the shelf, she winked and put it behind the counter for herself saying her daughter would love some. 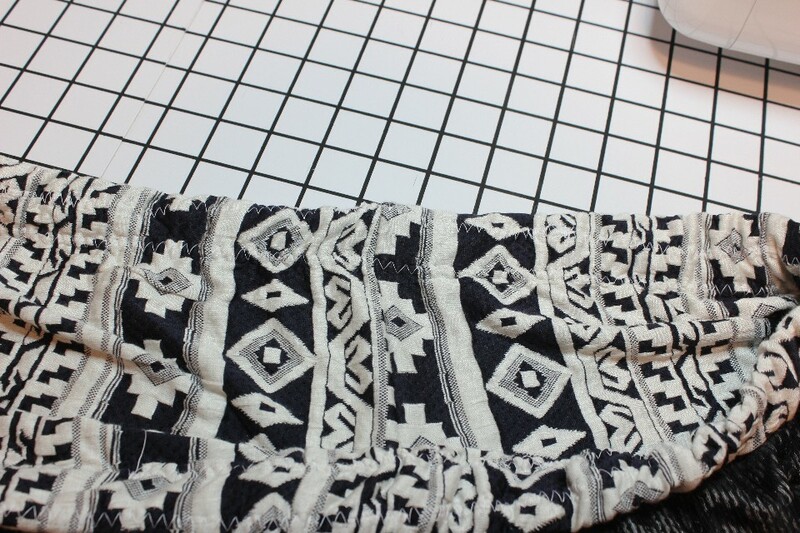 Let me start by saying, if you don’t have a serger, DON’T even attempt this pattern with this particular fabric. It was great to sew with, BUT!…The inner navy lining was stringy, it frayed, it balled, and was possessed with some kind of sticky. Many times I was like my cat with a piece of tape on her paw (which is outrageously funny!). And I cut it out using a rotary cutter. I could have probably done it with scissors but I prefer to cut my fabric out as much as possible with rotary cutters. 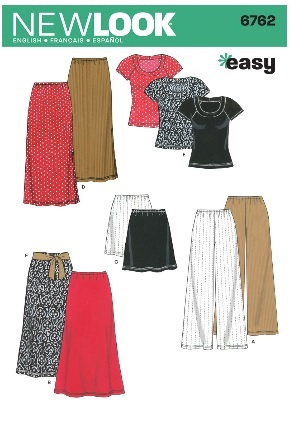 This pattern is perfect if you’ve never sewn pants before – which truthfully, I never have successfully done. These were my VERY FIRST completed pair! And I’m very pleased with the result. The only thing I needed to do was lower the waist an inch. 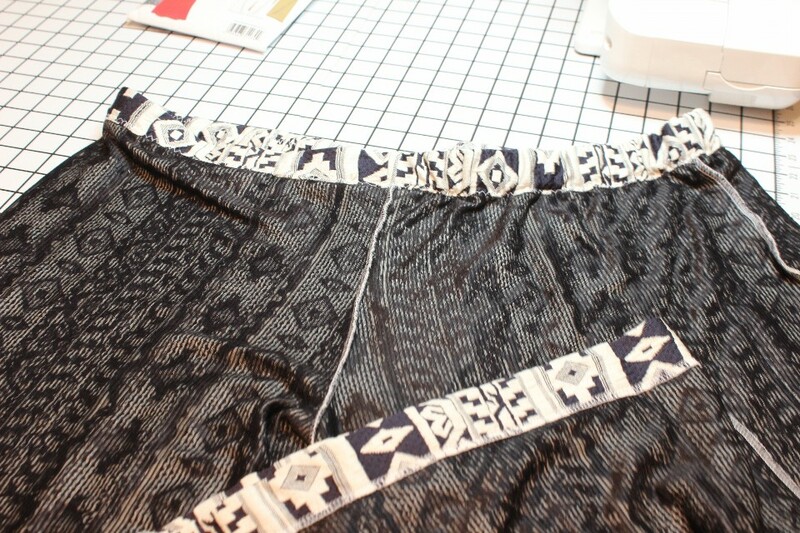 And I cheated at that because I ended up rolling in the elastic waist one turn and securing with another zig zag stitch. I eyeballed the leg hems too. Seriously, I never took a single measure. These went together so easily. I did, however, use sticky notes pinned to each piece up near the waist that said “Front” and “Back” to make sure I didn’t sew front to front and back to back (been there; done that; many years ago and tossed it). I wore them to work on Casual Friday and a sewist co-worker said that if I hadn’t told her I had made them she would have sworn they were RTW. Biggest compliment ever! I will be making many, many more of these babies. What fun! Love the fabric, and that pattern looks really user friendly. 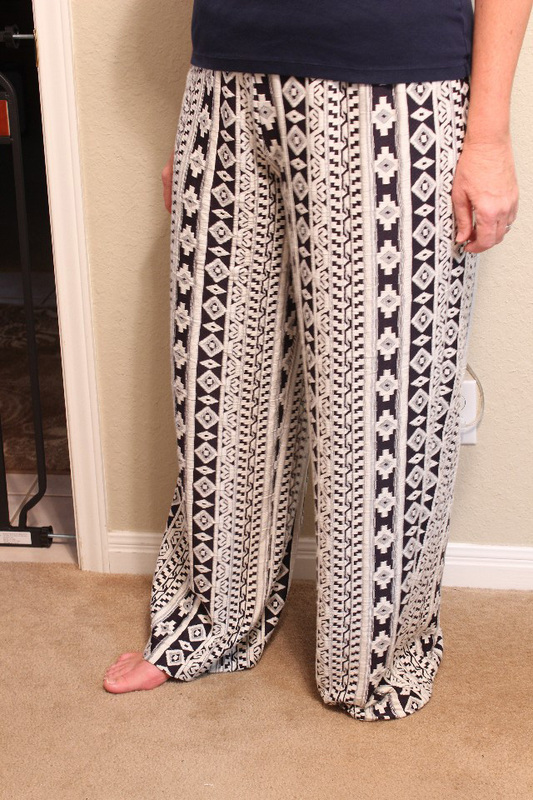 Have to laugh at the thought of palazzo pants making (yet another) comeback! They’re super comfy, though! Thanks for sharing a great fall project!